IT Management is stuck in the mundane. The status quo isn’t working. The solution is Productive IT Management. Many IT Management functions are bogged down–at a time when they are more critical than ever. It’s time to break free. 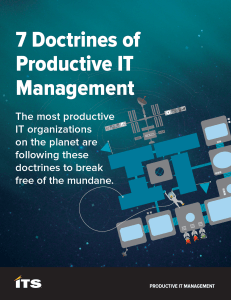 The most productive IT organizations break free of the mundane by following seven core doctrines that drive productivity. These doctrines are foundational to the mindsets and behaviors that help IT reach the level of maturity they need in order to meet the high expectations of end users and business leaders. Expectations on IT are out of this world. Today’s end users are more digitally savvy, more untethered, more mobile, and more demanding than ever. They expect an IT experience that makes them happy and productive. Business leaders expect IT to be productive by driving ROI, NPS, innovation, growth, and EVERYTHING ELSE. Keeping the organization productive while at the same time protected is becoming increasingly complex and is bogging IT down. Investing in new IT tools is not the default solution. 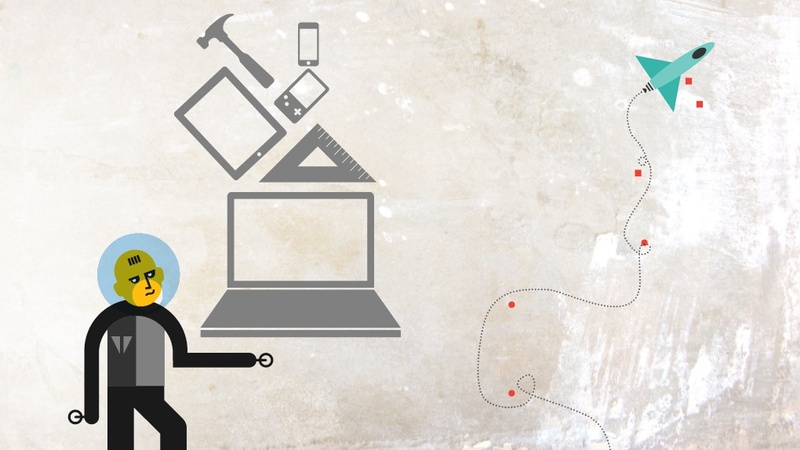 When IT is bogged down, the temptation is to think that new tools will solve the problem. This is one of most common mistakes we see. In our experience working with large IT organizations, meeting the high expectations of end users and business leaders requires a new mindset—a new belief system. The most mature and productive IT organizations have adopted a new mindset and belief system. We call it Productive IT Management. They don’t try to do everything “best practice”. They prioritize the outcomes they need most from each key function. They have mission-ready teams in place for each key function. They break down silos. They look for ways to connect teams and tools across functions. They put process before tools. They have critical processes in place. They configure and use their tools to maximize their full potential. 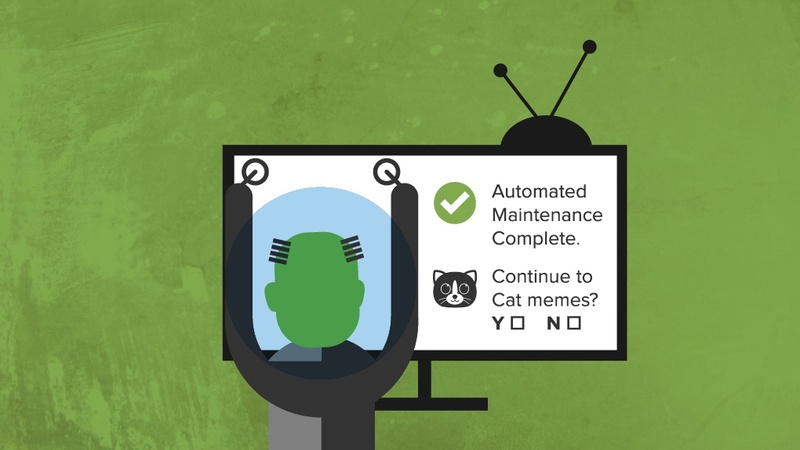 They don’t spend their time on routine tasks that could be automated. They have an ongoing process to mature solutions after launch. ITS can help your core IT Management functions be more productive. Mature your protection against advanced threats. Keep the good stuff in and keep the bad stuff out. 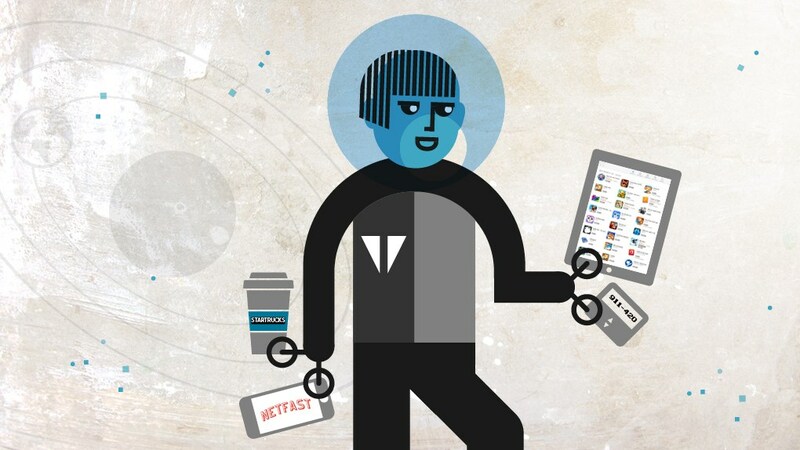 Manage any device, anywhere. Spend less time maintaining your tools and more time using them. Streamline service deliver across the organization with the right tools, processes, and automation. Mature how you track and manage your organization’s IT assets throughout their entire life cycle. Find out how the most productive IT organizations break free of the mundane to better meet the productivity needs of users. Enter your email address to subscribe to get insights delivered to your inbox. (You can unsubscribe at any time). We specialize in helping large IT organizations that are trying to meet the service demands of a highly consumerized workforce but find themselves bogged down in the mundane, time-consuming side of IT management. ITS Partners - The Productive IT Management Company @ 2019. All Rights Reserved.